The Harrow Three Seater Recliner offers maximum comfort with a smooth reclining function and spacious seat cushions. This is the manual recliner but there’s an easy-to-use power recliner for those who would prefer it. A variety of colour options means you can also customise the sofa to match in with your personal tastes, while a 15-year guarantee on the frame assembly provides peace of mind for long-term users. 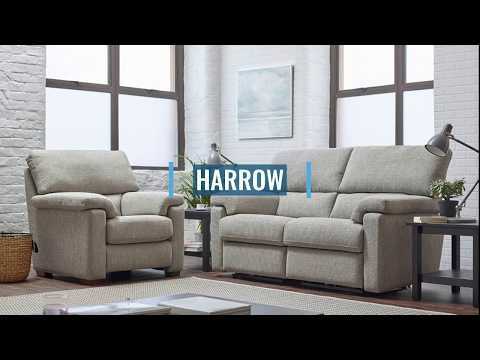 A variety of chairs, love seats and varying sizes of sofa offer up flexibility when it comes to room size – meaning the Harrow collection is ideal for just about any homeowner. "Good quality, comfortable & stylish"